T’ai Chi was initially developed as a martial art. It has emerged over the past several centuries as one of the finest personal development systems that exist. When taught correctly, the movements of Qigong and T’ai Chi develop the body and mind in ways that improve overall health and vitality. In 1988, Elizabeth studied T’ai Chi and Movement Therapy with Jim Spira in Berkley, CA. 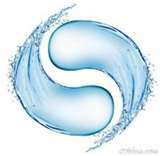 She has studied the Wu Short Form and Qigong with Bruce Kumar Frantzis in Marin County, CA. The Wu practices were developed to open the body to support energy flow and healing. The class is designed to help beginners learn the fundamentals of these practices to effect changes in all daily activities at home, work, and play.